I was very pleased when Jael reached out to me several weeks ago. She was coming home and wanted me to create a few images for her new portfolio. 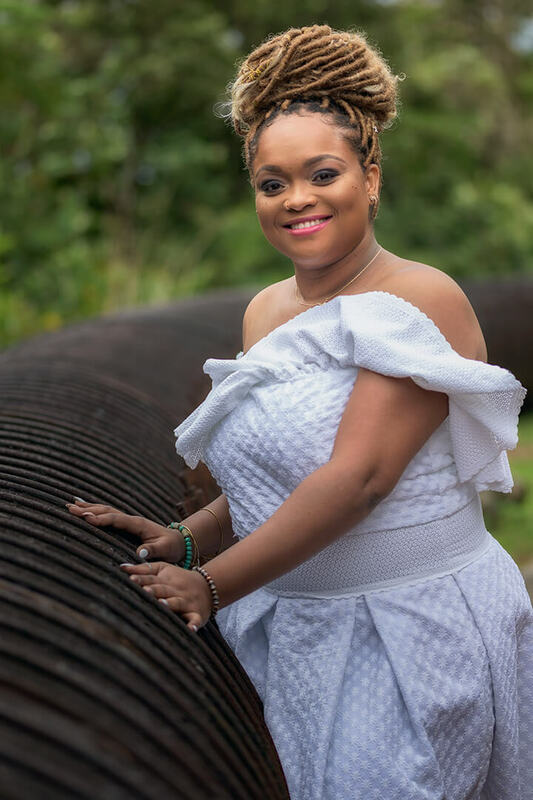 Jael Joseph is a talented and vivacious entertainer, who has held numerous roles in Dominica’s media scene. She made her debut as coordinator of the Q95 Talent Search competition in 2010 but didn’t stop there. She went on to host live radio shows and has since created her own media company, specializing in the creating of advertisements and event management. We settled on a general location for the photo shoot very quickly. We just needed to narrow down an exact spot. When Jael suggested the bridge, I quickly agreed, since it was a unique location and would add much character to our session. But with that location came the crazy weather Laudat is known for. Luckily, it didn’t rain… but thewind was out of control! Despite the wind not wanting to cooperate, and the sun popping in and out from behind the clouds, the shoot went smoothly. We were done in under an hour and created images that were are both proud of! Check them out below and let me know what you think with a comment!